Nearly every poker site maintains a rolling roster of online poker tournaments. While cash games will always be popular, thousands of poker enthusiasts swarm the top online poker sites each week to participate in the tourneys. Freerolls, bounties, SNGs, shootouts, and deep stacks… these events – and many others – have become the main attraction for the top poker rooms. It’s no wonder. Unless you plan to get into the high stakes cash games, tournaments are the only chance you’ll have to win a huge pot. On this page, we’ll give you a crash course on the best online poker tournaments to play. We’ll start with a “Quick Guide” that briefly explains the most popular types of tourneys. Some are similar to one another while others are entirely unique. We’ll then reveal our list of the top sites to visit to participate in tournament play. There is a tournament variant to match every preference. If you enjoy large events with hundreds – even thousands – of players fighting for a spot at the final table, look for the MTTs. If you prefer smaller tourneys where the odds of making it to a money position are higher, go for the single-table SNGs. If you like a quick-paced game, look for the turbo events. -MTTs – A multi-table tournament is an elimination event that starts every player with the same number of chips. Once you run out of chips, you’re eliminated. During the event, players are shuffled between tables. The last players standing are eventually moved to the final table. -SNGs – Sit-N-Go tournaments do not have an established start time. Instead, when the seats are taken, the event begins. SNGs can be multi-table or single-table tourneys. In a typical 9-player single-table SNG, the top three players are in a money position. -Bounties – These events reward players for knocking out other players. Sometimes, the goal is to eliminate a specific person at the table. Other times, a cash reward is given for knocking out any active player. -Freeroll Tournaments – These tournaments cost nothing to enter (i.e. no buy-in), yet give you the chance to win a cash payout. As you can imagine, they’re popular. -Guaranteed Event Tourneys- With most tournaments, it’s difficult to predict how large the prize pool will grow. Its size is dependent on the number of players who participate. With a guaranteed event, the poker room pledges to meet a specific dollar amount, regardless of the number of players. This is how overlays occur. -Turbo Tournaments – During turbo events, the blinds are raised more quickly than during a standard tournament. This quickens the pace of the game. -Deep Stacks – Deep stacks are tourneys in which players start with far more chips than they otherwise would during a “normal” tournament. This gives each player more breathing room to maneuver. -Rebuys – These tourneys let you replenish your dwindling chip stack during the game. If you’re getting pummeled on bad beats, you can buy additional chips to fight your way back. –Satellite Tournaments – The main prize for winning a satellite event is a free seat in another tournament. The follow-up tourney is usually larger and more costly to enter. For example, winning a $10 buy-in satellite might grant you a free seat at a $100 buy-in event. There are other types of internet poker tournaments, but most of them are close variants of the events described above. It’s worth mentioning that very few poker sites offer every type of poker tournament. That said, few poker players even care to play in more than a few types. Some stick to the SNGs; others hit the guaranteed events; still others prefer deep stacks and rebuys. With that in mind, here’s our list of the top rooms at which to play online poker tournaments. Bodog Poker – Bodog is notable for a few reasons. They built their reputation on a wide game selection, generous sign-up bonus, exciting promotions, and responsive customer support. Another notable item involves their guaranteed tournaments. They have a history of overlays, even at the smaller events. Grab a 110% match bonus up to $1,100 when you use bonus code “130347”. Once you make your first deposit, you’ll receive 10% of the match instantly. We’ve put together more information on our Bodog Poker review page. Be sure to check it out. Poker Stars – Poker Stars offers practically every type of tournament described above. It’s one of their major strengths. In fact, they host the largest weekly internet poker tournament in the world – called the “Sunday Million” – with a guaranteed prize pool of $1.5 million. 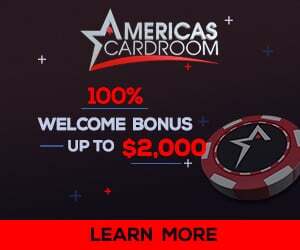 Claim a 100% match up to $600 by using marketing code “kickasspoker.com” and bonus code “stars600”. Be sure to check out our full review on PokerStars.com. Finding the best online poker tournaments is entirely a matter of preference. It depends on the type of events you enjoy playing. If you have never played in an online tourney, we recommend that you start at PokerStars.com. It’s a fantastic introduction because they offer nearly every type of popular event. Once you’ve gotten a taste for the action, visit Bodog.com to expand your playing field. It’s one thing to sit at a poker table, and try to take down eight or nine opponents. It’s another thing entirely to participate in multi-table poker tournaments (MTTs), where the number of opponents can climb into the thousands. These events have been a draw for years, both offline and at the top poker sites. The pots are large, and the buy-ins are usually small. This alone is enough to tempt anybody with a shred of optimism. If you have never played in a multi table tournament online, you’re missing an experience most poker players love. We’ll help you to get started. Below, we’ll describe how MTTs are played, including an explanation of their structure. We’ll also provide several tips for getting past the first few waves of opponents. We obviously can’t guaranteed you’ll reach the final table, but we can help ensure you go deeper than otherwise. Depending on the site at which you’re playing in multi-table poker tournaments, there may be hundreds of tables, each filled with players. Every player starts the event with the same number of chips. The blinds increase at predetermined intervals (for example, every hour) to quicken the pace of the event. As players run out of chips, they are eliminated from the tournament. Those who remain are reseated as the tables are consolidated to keep them full (or, nearly so). This continues as the number of people remaining is whittled down to under ten. The survivors are then seated at the same table to compete for a piece of the prize pool. The pool consists of the players’ buy-ins. For example, suppose a multi table tournament draws 500 people, and requires each to post a $50 buy-in and $5 entry fee. The final pool would be $25,000. The entry fees are kept by the poker room. From the structure described above, you can see that going further in the event is more important than simply winning pots along the way. In MTT poker tournaments, having a large chip stack, while important, clearly does not guarantee you’ll have a seat at the final table. Entire websites have been filled with multi table tournament strategy tips. Our goal here is to provide a few suggestions that will help you to beat most of your opponents. During the beginning stage of the event, focus on getting past the first break. You’ll notice some players working hard to build their chip stacks, often taking dangerous risks in the process. That’s reckless. Instead, tighten up your game. Preserve your chips, and grab more when you can. But as long as you’re slightly above the average, you’re fine. After the first break, start playing your premium hands aggressively. There’s no need to take unnecessary risks at this point, but don’t shy away from a confrontation if you’re holding an especially strong hand. This is the time to start building your chip stack for later. Each time you move to a new table, immediately look for the short and deep-stacked players in relation to your table position. Don’t get trapped raising borderline hands in an early position, especially with bigger stacks following you. Also, when in doubt, fold. It’s tempting to chase hands in multi-table poker tournaments, hoping to get lucky and recoup past chip losses. Resist the temptation. Even in the middle stage of an MTT, it’s better to fold. We’re merely scraping the surface above. Check out online poker sites for multitable poker below. Bodog – They have a strong tournament schedule, offering no limit, pot limit, and limit MTTs along with single-table sit and go’s, turbos, super turbos, and guaranteed events. Bodog also provides easy-to-use poker software, reload bonuses, and top-notch customer support. While they receive plenty of traffic, they are not the biggest contender in the field. This means their guaranteed tournaments often come with overlays. Visit Bodog to claim a 110% sign-up bonus on your first deposit up to $1,100. To lock it in, use special promo code “130347”. Be sure to visit our Bodog Poker Review page for more bonus and game information. Visit the poker sites above to get started in multi-table poker tournaments. We’ve enjoyed playing at Bodog for years, and strongly recommend them to you. Poker tournaments continue to be one of the biggest attractions for the top-ranked poker sites. And among the various types of tournaments offered by most sites, sit and go poker remains the most popular. Each day, thousands of poker players swarm the sites of their choice to participate in SNGs. Some gravitate to the turbo events. Others take a seat at the short-handed tables. Still others prefer the large MTT sitngo poker games. On this page, we’ll explain why this form of poker tournament is so popular with players. We’ll also reveal a few factors to keep in mind when you’re thinking of joining a new sit and go poker site. Avoid the trap of thinking every site is similar. They’re not, and picking the wrong one could make the difference between hemorrhaging your bankroll and making a consistent profit. Lastly, we’ll give you our short list of the best SNG poker sites to visit. One of the reasons people like playing SNG poker is because it’s informal. With a traditional Multi Table Tournaments, you would need to register long before the event occurred. You would then need to wait until hundreds – or thousands – of people showed up to play. Sit n go poker is different. You can log into your account, find a table, sit down and start playing as soon as the other seats are filled. There’s rarely any waiting involved. Another advantage is that the events can be played quickly. A typical 10-player SNG can be finished in as little as thirty minutes. By contrast, an MTT can require several hours. That makes it difficult – if not impossible – to participate during the workweek. It’s also worth mentioning a lot of poker players rely on sit n go poker games to smooth some of the bankroll swings they experience in the ring games. A single-table SNG pays out to 3 spots, which makes it easier to recover from a loss. The experience you’ll have while playing sit and go poker depends largely on the sites at which you play. Even though the basic format of the games is similar, seemingly small differences can have a huge influence on the outcome. For example, some online poker rooms raise the blinds more slowly than others. Some will start you with bigger chip stacks than others. If you’re a skilled player, both of these features are advantages because you can afford to be less reckless. You’ll have more time to put your skills to use. You should also look for sit-n-go poker sites that attract a high volume of fish. The most reliable poker strategy to consistently come out on top is to surround yourself with less-skilled players. In fact, there are a lot of players who make a full-time living based solely on their SNG profits. When you’re looking for sit and go poker sites, size is important. The bigger the poker room, the easier it is to find a table. Also, larger sites tend to draw more fish to the smaller SNGs. It’s no coincidence that the list of poker rooms below includes two of the biggest sites in the industry. Bodog Poker – Bodog is a mid-tier room that offers beginner sit and go poker tournaments. The stakes are ultra small (buy-ins as low as $2.20) and you’ll find plenty of fish to exploit. Bodog enjoys a stellar reputation, which helps draw thousands of people to the tables each day. That means you’re unlikely to have trouble finding a table. Use bonus code “130347” to take advantage of a 110% match up to $1,100. You’ll receive 10% of the match in your live account instantly. View our full review of Bodog Poker. If you’re an avid sit and go poker player, you’ll enjoy playing at the sites profiled above. If you’re just getting started with SNG poker, these sites provide an ideal training ground. Take a few moments to visit these sites and see what you’ve been missing. The WSOP, or World Series of Poker, is a series of poker tournaments played in Vegas over the course of six weeks, culminating in the $10,000 buy-in No Limit Texas Holdem main event. Wsop.com is the official site. The WSOP is the once a year competition in Las Vegas that crowns the Poker World Champion for the entire year. The WSOP is the biggest poker tournament in the world, drawing by far the most money and the most players, this is the tournament that every poker player dreams of winning.